Samba School visit. Everybody dancing samba. 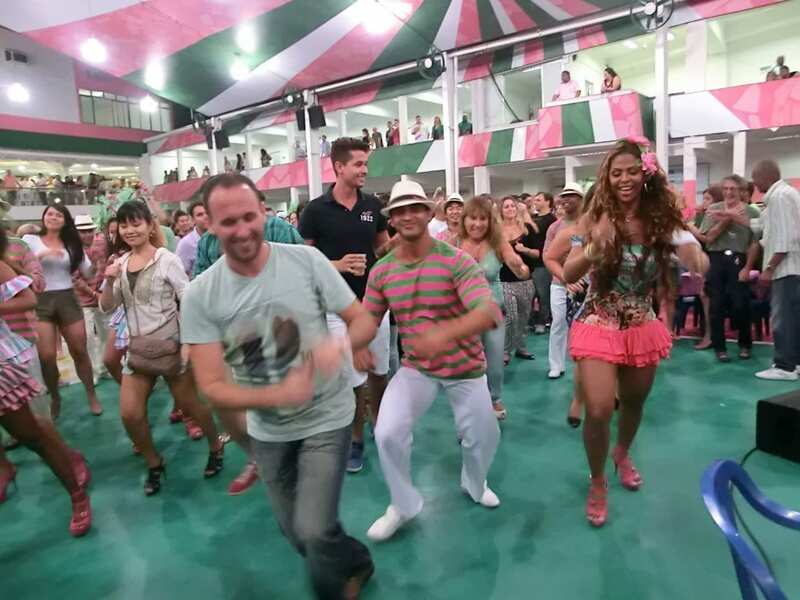 Would you like to join us on a Samba School visit? Do you know how carnival in Rio works? Do you know about Samba Schools? Samba Schools are organizations composed by common citizens that prepare Carnival celebrations all the year long. They are the ones responsible for the spectacle of colors, dances and sounds that you see on TV. Like in a sports competition, Samba Schools compete between each other on a common ground, called Sapucaí. There are no home teams or away teams, since the Sambódromo belongs to us all. In the end, a group of judges decides who will take the cup for carnival’s overall best performance. The best Schools are on the Grupo Especial but only one will be the winner, and the last place will be demoted to a lower category, thus giving it’s place to the best one from the division below. Every School goes through almost all the year training every week and choosing the best dancers, costumes, arrangements and songs for their performance. They dance and have fun at the same time as they train and get prepared. 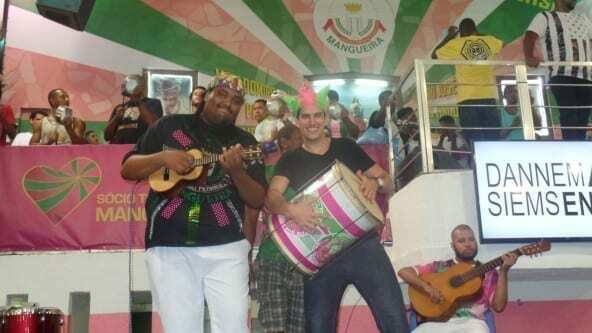 The best part is that they are opened for Samba School visit. This RioLIVE! Activity will provide you with a singular experience, one of the most amazing things you can do in Rio, that barely appears in tour guides or tours. We are going to one of the Escolas de Samba practices on their quadra (a huge square compound in their neighborhood where they practice and plan all aspects of their presentation). It’s a wonderful opportunity to mix up with the people that you see dancing amazingly on some Carnival videos. We will be around them, and if you want to, you can dance with them too ;). So come with us, let yourself loose and have fun! 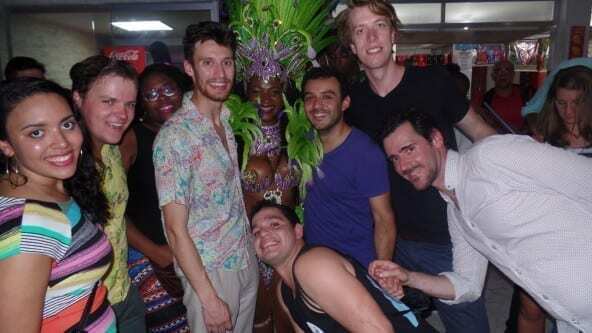 November 2013 visit to Escola de Samba Mangueira! October 2013 visit to Escola de Samba Salgueiro! September 2013 visit to Escola de Samba Salgueiro! August 2013 visit to Escola de Samba Salgueiro! July 2013 visit to Escola de Samba Salgueiro!